SeaView | News | Tournament WINNERS!! 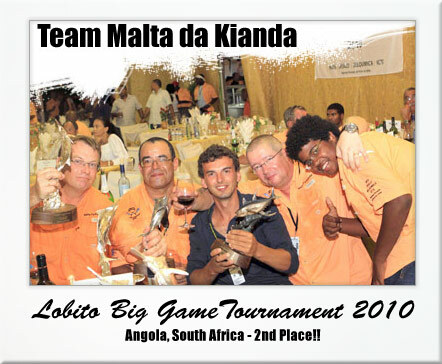 Fransisco 'Xico' Ilunga de Almeida (Angolan, Commodore/Boat Owner, right back of picture), Jan Schmidt (German, Skipper, left back of picture), Colin McCaffery (Scottish, Crew Member/Fisherman, centre back of picture), Sacha Ilunga de Almeida (Angolan (Xico's son), Crew Member/Fisherman, front right of picture) and Julio Gomes (Portuguese, Crew Member/Cameraman). "We won the Pesky's Tournament for the second straight year. 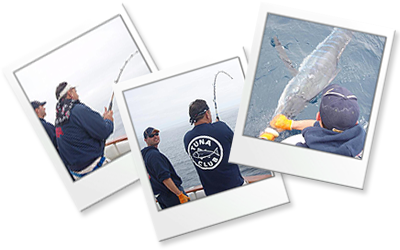 Ocean Imaging was a big part of our success in such a slow local marlin year. Trying extra hard in such a slow year we relied on SeaView data to find a promising spot of water just North of the 43. On top of some reports from the week before we found the bait and the water conditions we were looking for. We caught two fish that day and had another strike. On the way home the next morning just outside the zone we had another marlin on for a short while. All this action in the worst year in So. Cal. 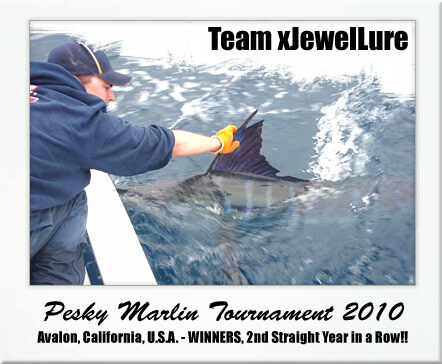 marlin history! Thanks Ocean Imaging." 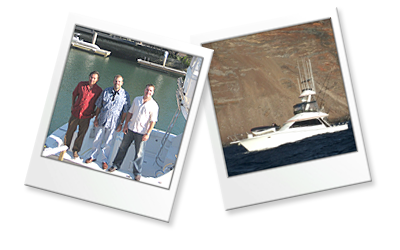 "SeaView's accurate and reliable imagery updated multiple times per day helped us stay on the water that was holding the fish. We would not have done half as well in the tournament if we didn't have SeaView." 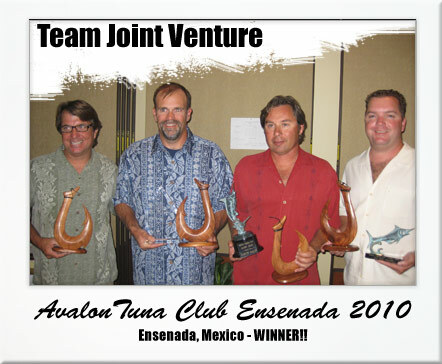 Fishing in the 2010 Avalon Tuna Club Ensenada Tournament we were the only boat to catch fish in the entire tournament. We took a gamble that paid off when we saw that all of the waters between Ensenada and San Diego were green and turbulent. 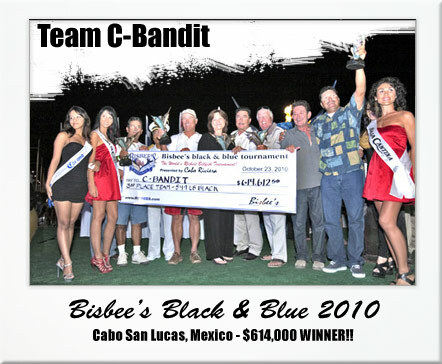 We located a 3 mile by 3 mile patch of blue water that was two degrees warmer and pushing current from the south, we swept all of the awards with seven yellowtail. Had we not had SeaView we would not have know about this patch of water as it was roughly 100 miles south of the fleet. Being able to pick up water movements in real time allows us to cover hundreds of miles of water before our trip and during the tournament.